"We Can Do It!" poster for Westinghouse, closely associated with Rosie the Riveter, although not a depiction of the cultural icon itself. Pictured Geraldine Doyle (1924-2010), at age 17. Image from 1942. From scan of copy belonging to the National Museum of American History, Smithsonian Institution, retrieved from the website of the Virginia Historical Society. 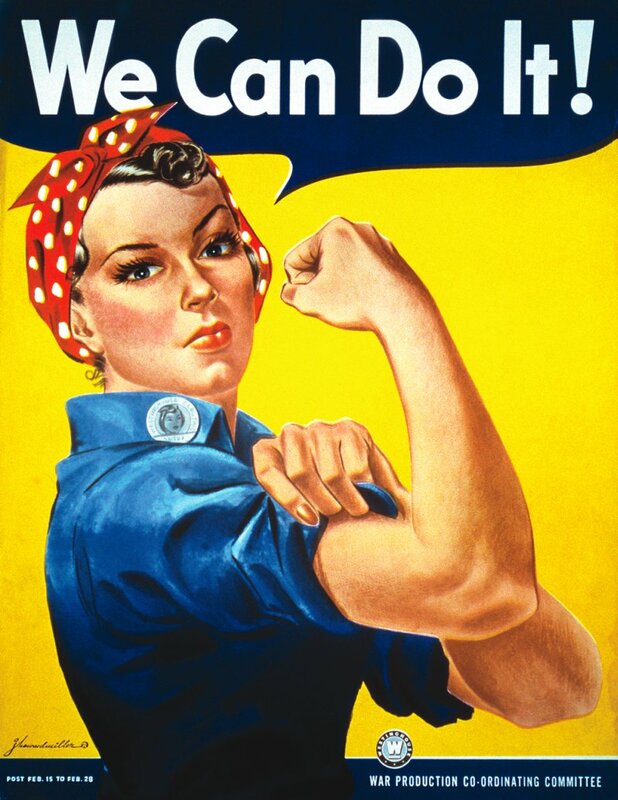 Image File:We Can Do It!.jpg available from Wikimedia Commons, in Public Domain.